The centre of the Earth is around 6000 degrees Celsius – hot enough to melt rock. Even a few kilometres down, the temperature can be over 250 degrees Celsius. In general, the temperature rises one degree Celsius for every 36 metres you go down. In volcanic areas, molten rock can be very close to the surface.Geothermal energy has been used for thousands of years in some countries for cooking and heating. Hot rocks underground heat water to produce steam. We drill holes down to the hot region, steam comes up, is purified and used to drive turbines, which drive electric generators. There may be natural “groundwater” in the hot rocks anyway, or we may need to drill more holes and pump water down to them. The first geothermal power station was built at Landrello, in Italy, and the second was at Wairekei in New Zealand. Others are in Iceland, Japan, the Philippines and the United States. In Iceland, geothermal heat is used to heat houses as well as for generating electricity. 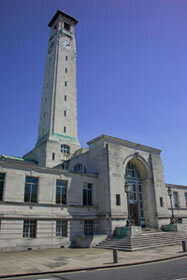 If the rocks aren’t hot enough to produce steam we can sometimes still use the energy – the Town Hall in Southampton, England, is partly heated this way. Geothermal energy is an important resource in volcanically active places such as Iceland and New Zealand. How useful it is depends on how hot the water gets. This depends on how hot the rocks were to start with, and how much water we pump down to them. Water is pumped down an “injection well”, filters through the cracks in the rocks in the hot region, and comes back up the “recovery well” under pressure. It “flashes” into steam when it reaches the surface. The steam may be used to drive a turbogenerator, or passed through a heat exchanger to heat water to warm houses. A town in Iceland is heated this way. The steam must be purified before it is used to drive a turbine, or the turbine blades will get “furred up” like your kettle and be ruined. Geothermal energy does not produce any pollution, and does not contribute to the greenhouse effect. The power stations do not take up much room, so there is not much impact on the environment. Once you’ve built a geothermal power station, the energy is almost free. It may need a little energy to run a pump, but this can be taken from the energy being generated. The big problem is that there are not many places where you can build a geothermal power station. You need hot rocks of a suitable type, at a depth where we can drill down to them. The type of rock above is also important, it must be of a type that we can easily drill through. Sometimes a geothermal site may “run out of steam”, perhaps for decades. Hazardous gases and minerals may come up from underground, and can be difficult to safely dispose of. The energy keeps on coming, as long as we don’t pump too much cold water down and cool the rocks too much. This entry was posted in Environment, interior of the Earth. Bookmark the permalink.